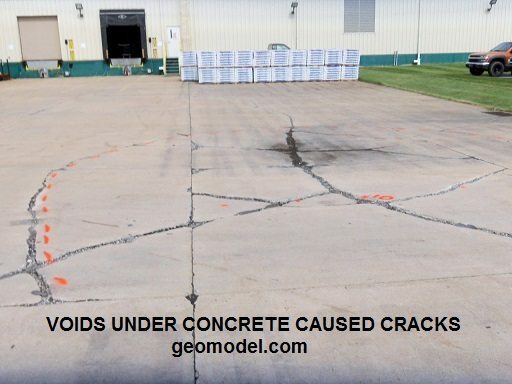 GeoModel, Inc. conducts sinkhole detection and void detection surveys throughout the United States. 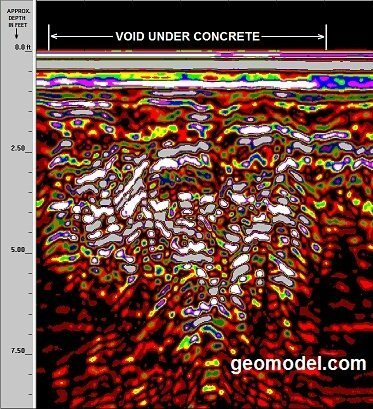 GeoModel, Inc. uses ground penetrating radar (GPR) to locate subsurface sinkholes and detect voids. 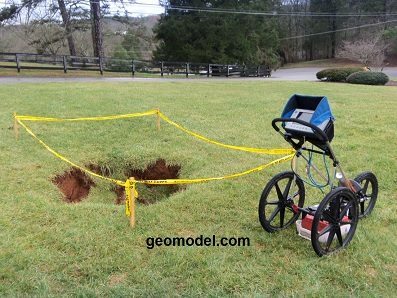 GeoModel, Inc. only uses licensed Professional Geologists with Master’s degrees in Geology to conduct each void or sinkhole location survey. 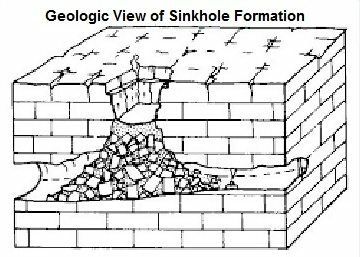 In addition to the sinkhole detection GPR survey, the GeoModel, Inc. Professional Geologist will also observe geologic features in the area that may be related to any sinkhole activity or underground voids. To further investigate a sinkhole location or void location study, the GeoModel, Inc. geologist will conduct research of other sinkholes detected in the area, the general geology in the area, and recent hazard events such as a flood or drought. Ground Penetrating Radar (GPR) produces a continuous record of subsurface soil and rock conditions, in the form of a cross-sectional profile. Radar profiles can be used for sinkhole location and void detection by observing the GPR data on the computer screen in real time. During a void or sinkhole detection survey, GPR uses an antenna, or transducer, to transmit brief pulses of energy into the ground. 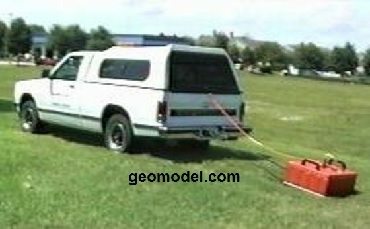 The antenna is housed in a protective box that is pulled along the ground by hand or behind a vehicle or ATV. 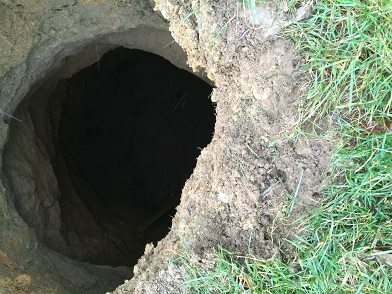 Direct contact with the ground promotes the transfer of the radar waves into the ground for the detection and location of sinkholes and voids. The depth of penetration of the ground penetrating radar signal for void location or sinkhole location depends on the radar antenna used and the conductivity of the subsurface materials surrounding the sinkhole or void. Antennas with low frequencies, such as 200 megahertz (MHz), have greater penetration (up to 30 feet) in highly resistive material such as dry quartz sand or clean limestone. High frequency antennas, such as 400-MHz, have lower (more shallow) penetration but higher resolution. Investigations for shallow sinkhole detection or smaller void location (10 feet or less deep), or soil horizon subsidence, can be conducted with these higher frequency antennas. Sinkhole location or void detection surveys are conducted most often in karst limestone areas. 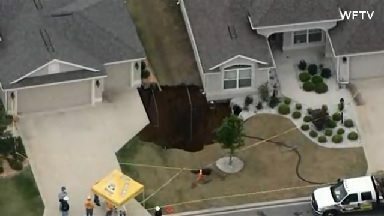 However, sinkhole detection and void location investigations may also be recommended in areas with soft soil, in areas where water or sewer pipes have broken, after a flood to check for flood damage, or where mining or other surface or subsurface disturbance activities have occurred.